Organized by Langley Shazor, The Casual Word (thecasualword@gmail.com). "The Typewriter Tour is a series of type-in events. A type-in is an event where I bring antique typewriters from my collection to a public venue for anyone to use. They range in size from 6 to as many as 25 depending on the space of the venue. The goals of these events are for people to explore their creativity in general, try their hand at creative writing particularly, more importantly unplug from the digital world, and promote positive social interaction. The typewriters serve as unique tool and experience to promote these ideals. 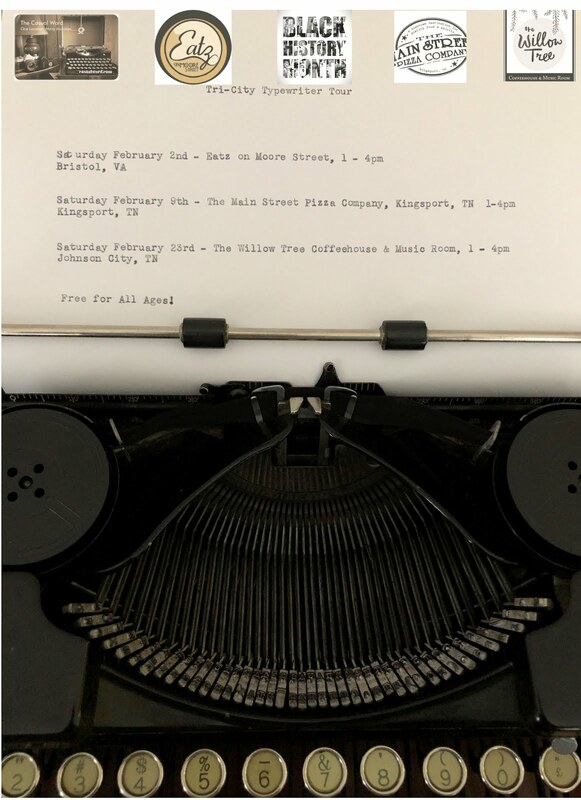 The Tri-City Typewriter Tour for Black History Month goal is to expand this experience to other communities and partner with new businesses/venues. I want to encourage more people, especially minorities to come share their words and engage with each other. Coming together is the first step in breaking down stereotypes and socioeconomic barriers."